Today I’m writing on one of the sites that has changed our homeschool thought process completely. While so many of the homeschool blogs I love offer printables, ideas, etc (and they are fabulous), Simple Homeschool offers deep, insightful looks into the process of schooling children at home. Lately the editor Jamie (find her e-books here) has been doing a fantastic series on what a day in the life looks like with homeschooling. I loved reading them, but (as is pretty normal with homeschool) I found most of them were on bigger families that included older children. I’m so excited to share with you on what a day in our PreK homeschool life looks like right now with just Bella. If you’re new to my blog, welcome. Please feel free to look around, read about our lives with the tabs above this post. We are a family of 3 on earth, 3 in heaven. Bella is 4 and the light of my husband Sam’s and my life. Our most profound story is of losing our 3 sons, Preston and Julian – identical twins born too soon at 20 weeks in May of 2012, and Kaden – born this past August full term and found to have a rare heart condition and virus which he passed away from 3 weeks later. We are in the process of rebuilding our lives without knowing quite where to turn right now. 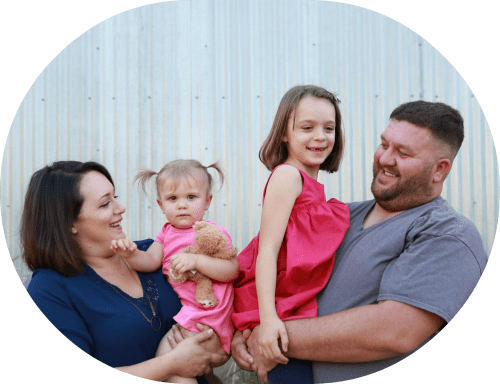 You’ll also find out about our life as a military family, a marriage of nearly 11 years after being high school sweethearts, and how writing is my passion both on this blog and several other sites I write for. We recently had Land of Nod come out to set up an entire homeschool room for us, then shoot it for an upcoming catalog. I’m also on Facebook, Twitter, Instagram, and Pinterest. Follow me on BlogLovin‘ or subscribe by email. Thanks for coming over and reading a little more on us! Everybody’s homeschool day is different. Ours are typically pretty interesting with a 13 year old trying to do pre-algebra while her 2 year old and 3 year old siblings run around like crazy people! I have two kids: 18 and 6. Girl and boy, respectively. I read this post with interest because, in theory, I’m beginning to homeschool my second only child. We dealt with a term called secondary infertility. My perspective has changed, possibly with age…ahem…maturity? Yes, that’s it. Maturity and experience. The lifestyle and freedom is the big selling point for us. I feel sorry for those who can’t experience it. I don’t think it matters if you have one or ten kids. Each soul is worth our best offering. Education at home by the side of those entrusted by God to raise them into their calling is the best sacrifice we can make. I saw your post on simple homeschool too. I am a mama of a 4 year old too and it’s very unlikely I’ll have any more children. I’ve been considering homeschooling but never hear about anyone doing it with just one child. I had been wondering if anyone with an only child had ever done a “day in the life” post when I saw yours. So thanks and I’d love to hear more on your blog about thoughts on homeschooling an only child.